C Kunalan’s primary three class photo in 1951. 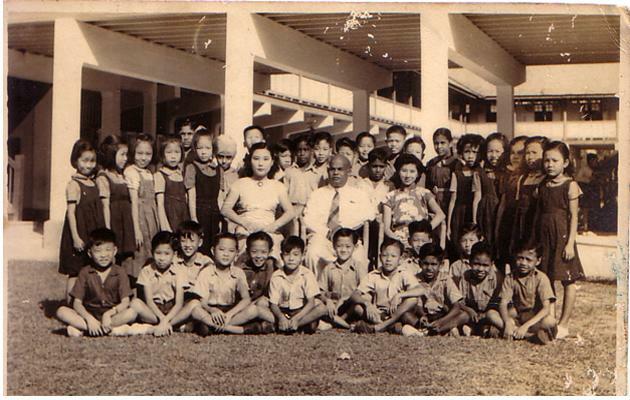 Kunalan, who was from Pasir Panjang English School, is the boy standing between the principal and teacher wearing a floral cheongsam. Under our "Inspiring People" monthly column, we highlight the incredible journey of one person who has overcome tremendous odds to achieve personal success. This column celebrates the triumph of the human spirit and we hope it will inspire you to reach for your dreams, too. This month, which celebrates Teachers' Day, we bring you former Olympian C Kunalan, whose passion for teaching has kept him in going for this industry for close to 50 years. His life story is probably one of the best teaching aids for former Olympian and long-time educator C Kunalan. At a time when scoring As and entering a top school seem to be uppermost on students’ minds, the 69-year-old provides a timely reminder of the importance of passion, hard work and a good dose of humility. The senior manager at the Singapore Sports Council — well-known for a sporting legacy that includes 15 medals in the Southeast Asian Games and five in the Asian Games — recently sat down with Yahoo! Singapore to share his lesser-known journey in teaching. Kunalan, who retired last year, stumbled into teaching in 1961 after his poor O-Level results heavily limited his career options. But he has never regretted his career choice. He first started teaching six days a week at Tiong Bahru Primary school as form teacher to a Primary three class of 40 boys and girls. “And they (the school) said, okay you are the house master for green house and the games master for badminton. Don’t forget you got to buy books for the kids. So you go into class and get all this done and you got to teach also,” he recalled. “I took things seriously… from a young fella playing around in the village, doing nothing, suddenly, ‘Wow, you are a teacher’,” he said, adding that he enjoyed “everything” about teaching. “I was doing it happily. That’s the crucial thing. There wasn’t a day of regret or worrying or questioning if this is what I want to do,” he said, sharing how he would later teach in the day and attend evening lectures thrice a week as he studied to become a full-fledged teacher. 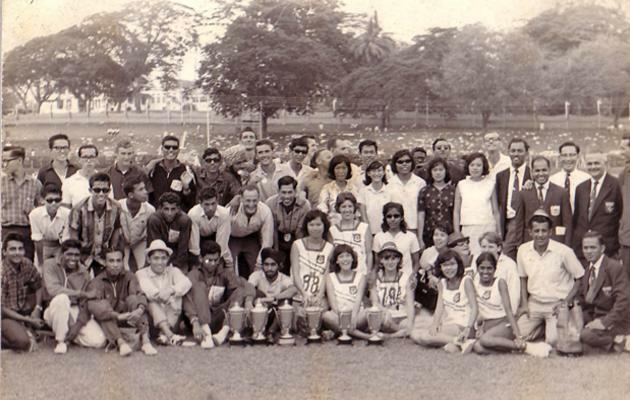 In 1967, Kunalan started teaching at Dunearn Secondary Technical School. He recalled with mock horror how he had to teach mathematics, a subject he had never passed before. As form teacher, he had to teach almost all the subjects. Every night, he would come back and look at the chapter he’d be teaching and go through every sum in the book. He can still remember the title and author of the textbook. When he couldn’t solve a sum, he would turn to colleagues for help, including a certain A C Abdeen who knew every sum by heart from teaching so often, Kunalan recalled. 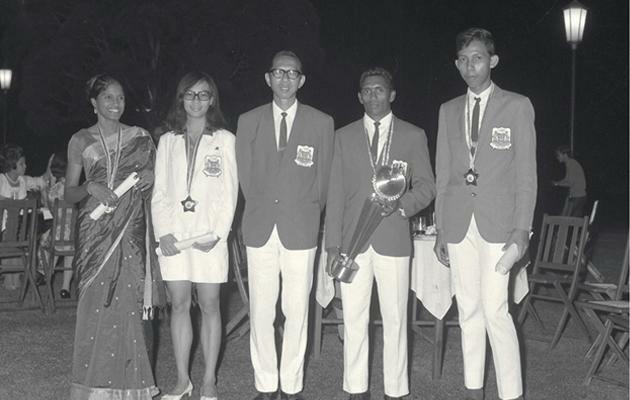 The former athlete was also heavily involved in school sports, bringing his school’s athletics team to victory in a 1973 nationals meet. “1973, wow, what a year. I was teaching in the classroom, two classes of English, and I was coaching my team everyday (so that those who were busy on one day could train on another). They were crazy boys and I was a crazy teacher,” he said, laughing. His wife, Elizabeth Chong Yoong Yin, remembers him as the teacher students used to look forward to seeing in school. Chong, who taught in another school for more than 40 years before retiring, said she used to joke with her husband that “all the girls are waiting to talk to him”. He was also a teacher whom students turned to when they were in trouble. He was always sensitive to how they felt, said Chong, who has three daughters with Kunalan. The strong ties Kunalan has built over the years is evident. His former students, whom Kunalan calls his “friends”, meet up with him every year, sometimes at his three-story semi-detached house near Orchard Boulevard. He keeps in touch with close to 100 students from the secondary school and recently attended the birthday celebration of a former student’s mother. This student was from the very first primary three class he taught. When his poor academic credentials worked against him in later years, Kunalan steadfastly focused on his teaching responsibilities. In 1976, when teachers had their first opportunity for promotion with the new Senior Education Officer position, Kunalan went for the interview but was rejected. “So, I’m not good enough? I’m a sports secretary and doing so many things. A lot of my colleagues and fellow sports secretaries got the promotion but I didn’t,” he recounted, noting that he had even won the National Day honours for efficiency for his good work in school that year. By the end of 1979, his hard work paid off when he was picked for a nine-month scholarship for a certificate course in physical education, health, dance and recreation in Perth. In the 1980s, he was again chosen for another 16-month scholarship to Germany to study the German language and a diploma course in track and field. When Kunalan returned to Singapore, he joined the newly established College of Physical Education (CPE) and was given a two-year scholarship to study for a Masters degree in physiology at the Loughborough University of Technology. Kunalan, who did not even have a basic degree, spent the first year studying physiology subjects and other modules at the undergraduate level and did his Masters the next year. He graduated top three in his cohort. He eventually became a lecturer at the National Institute of Education (formed by the merger between the CPE and Institute of Education in 1991), which was an institution of the Nanyang Technological University (NTU). His contribution was so appreciated that when Kunalan reached his retirement age at 55, NIE kept him on for another 13 years, until he left in 2010. In 2007, Kunalan received two Nanyang Technological University awards for excellence in teaching and in sports. Kunalan’s former student Chow Jia Yi, now an assistant professor at NIE, recounted his car rides with Kunalan, also known as “Mr K”. “During our journeys, he would always want to discuss what interesting projects I am up to and he is always willing to learn more about the work of other people in different disciplines in sports science,” he said, describing Kunalan as “approachable, friendly and always willing to lend a helping hand”. Kunalan, who still gives talks to students, uses his experiences to encourage them. He tells them, “All these can be done if you have interest. If I can do it, you can do even better,” he tells them.